How mainstream economics promotes fallacies that were exploded long ago by the classical economists of the 18th and 19th centuries – Part 1 and part 2. How the Swiss Opted Out of War – What is so interesting about the Swiss decision to renounce foreign wars at the end of the Napoleonic Wars is their previous history of belligerence. Today we think of the Swiss as well armed, but polite and peaceful villagers. The average European of 500 years ago would have had a very different view of the Swiss. Beginning with their successful defense against encroaching Austrian knights in the beginning of the 14th century, the Swiss infantry pike/halbard/arquebus phalanx dominated the battle fields of Europe for 200 years. At that time, the Swiss would have been characterized as belligerent, vicious, relentless, and greedy, due to their becoming the favored mercenary infantry of any ruler who was willing to pay. For an outstanding account of the era of Swiss dominance, see Charles Oman’s classics “A History of the Art of War in the Middle Ages: Volume Two: 1278-1485 AD” and “A History of the Art of War in the Sixteenth Century“. An excellent list of undergraduate and graduate level math books. Introduction to Functional Analysis – Online course notes from Professor Kisil of the University of Leeds. RIP Herbert Wilf – Professor Wilf was a mathematician at the University of Pennsylvania who made important contributions in combinatorics. Some of his texts are available for free at the link to his website. 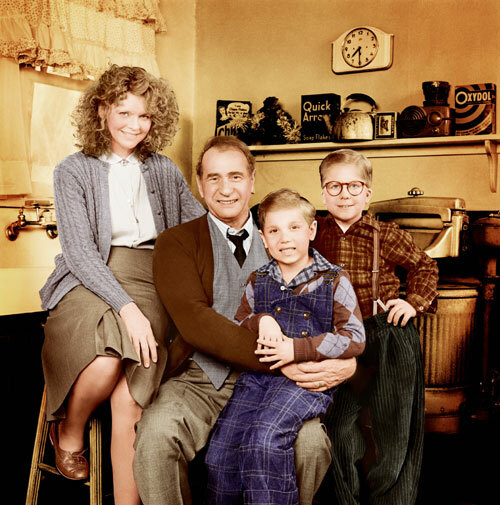 A Christmas Story House and Museum – This is one of my all time favorite movies. I actually saw the movie in the theater when it was first released. Since then, it has become an x-mas classic that is shown as a 24 hour marathon on x-mas eve every year. This entry was posted in Links, Mathematics, Political_Economy and tagged link_dump. Bookmark the permalink.